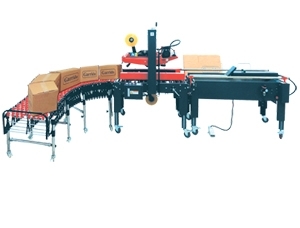 The Advantage Machinery Eco-Tape system is a combination of the semi-automatic case erector, model CE-10M, the semi-automatic case sealer model CS-TD and a flexible conveyor. 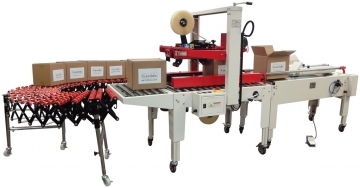 This system allows a single operator to form the case, fill and seal it. This economical solution was designed to save companies labor cost in the final packaging stages of their production. 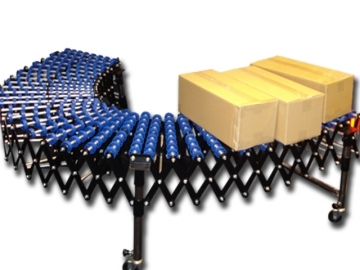 Description Top and Bottom Sealed, Top and Side Driven Includes 8 legs with lockable castors.